In recent years, our bodies increasingly suffer from the destruction of the ozone layer, which prevents the excessive penetration of solar UV to the Earth. Large doses of ultraviolet radiation increase the risk of eye diseases. 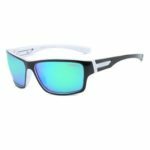 This UV400 Polarized Sunglasses can block ultraviolet rays and protect your eyes. 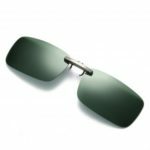 With self-repairing coating on the spectacle lens, it will aromatically repair itself under ultraviolet radiation while the lens are slighted scratched within 20um depth, making the lens lasting and new. 6-layer polarizing films can effectively cut down the strong light and eliminate the dazzling reflect light and scattered light, bring you a clear visual effect. 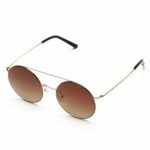 Z shaped glasses temple makes the glasses suitable for different face shape and width, self-adjusting design makes it comfortable to wear. 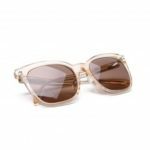 The clamping force of the sunglasses is only 0.25N, can effectively reduce the pressure on head, free to wear. 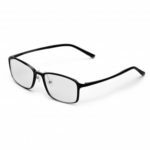 Adopting flat glasses lens, reduces dizziness and make you look more clear. Comfortable TPR nose pad and silicone temple cover are skin-friendly, perfectly suitable for wearing.